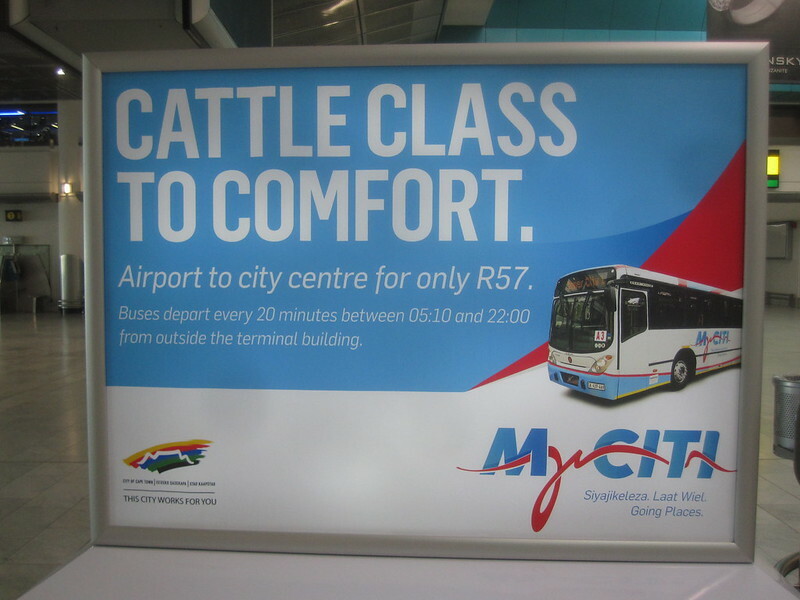 I got the Cape Town Myciti card as soon as I got to Cape Town. It allowed me to ride the bus around town for 60 cents a ride. That was a good deal. Taxi cabs are available in Cape Town, but can be quite expensive if I was riding a long way. I remember it cost us $45 to get to the botanical gardens and back. Fortunately, we split the fare three ways. The Cape Town buses were clean and safe. They were fairly timely. The bus stops were convenient. I rode the bus all the time. 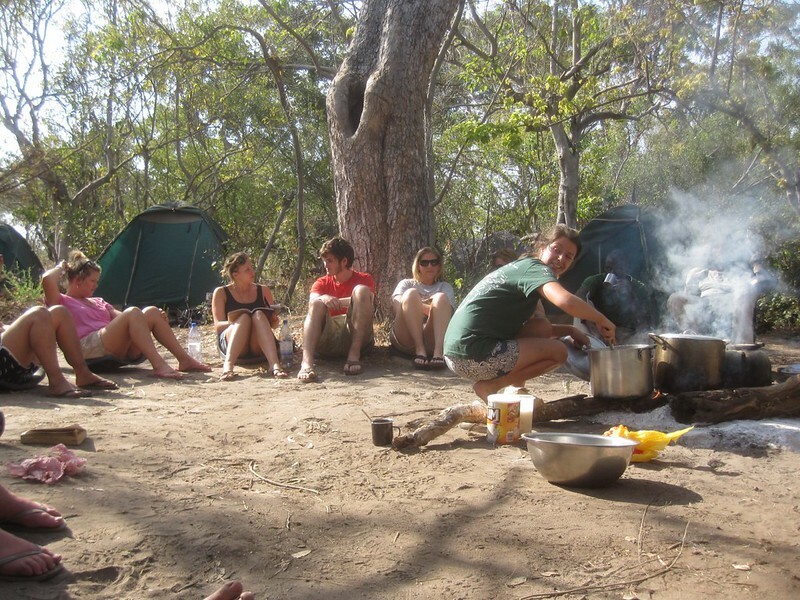 This entry was posted in Travel and tagged Africa, Cape Town, Fortuna, Overland Trip on August 8, 2012 by Steve. I saw this on a t-shirt in one of the malls in Cape Town. I liked to think of it as a slogan a younger person would use to deter tough-treatment at the hands of their parents. 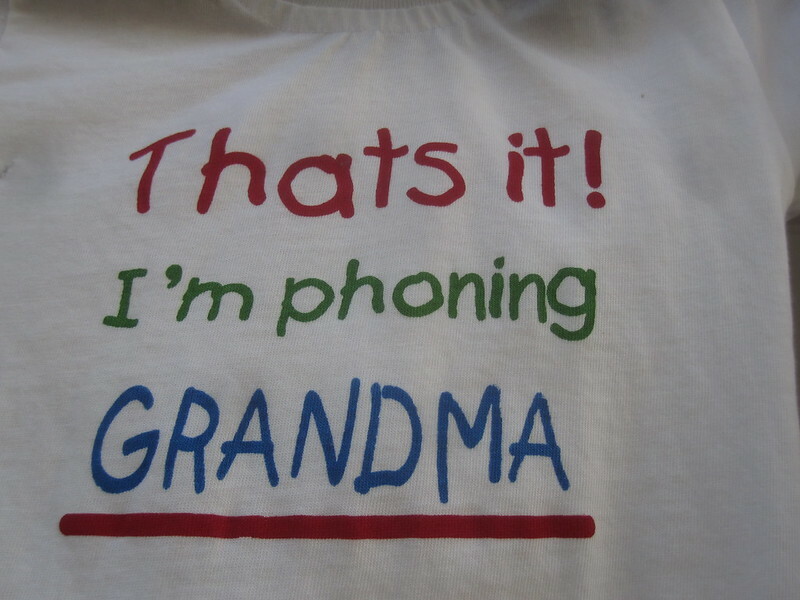 I am intimately familiar with a grandchild that actually uses this tactic. Fortunately, the grandmother, with whom I am also intimately familiar, is too savvy to get sucked into the middle of behavior issues with her grandchild and her child. This entry was posted in Travel and tagged Cape Town, Fortuna on August 8, 2012 by Steve. 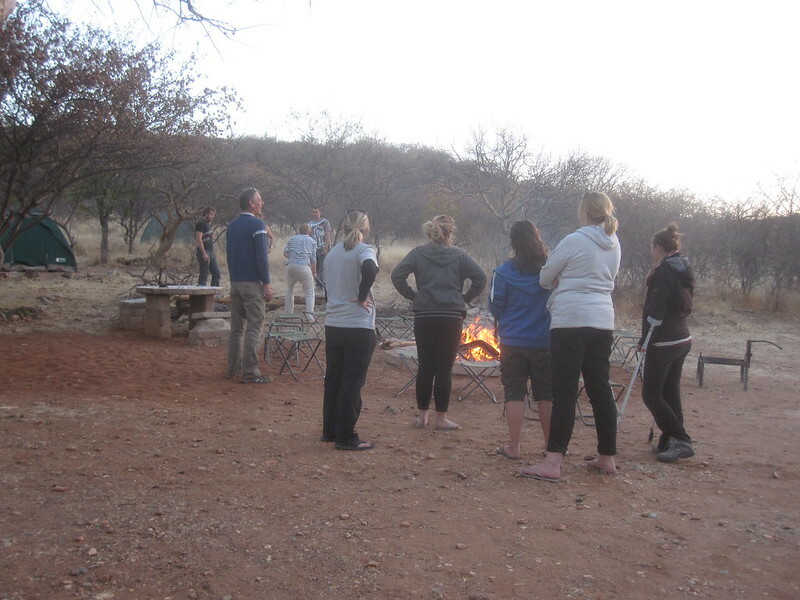 We camped at the Cheetah Park campground. We got to build a big fire and found a lot of wood. Lately, I have been the unofficial fire starter in the mornings because I get up earlier than the others in the group and I go out and get the fire working again. It’s better than laying in my sleeping bag thinking about how cold it is. It is now the middle of winter in the areas of Africa where I am traveling. Fortunately, it rarely gets below freezing here. I’m not sure I’ve seen it below forty degrees very often on this trip. This entry was posted in Travel and tagged Africa, Fortuna, Namibia, Overland Trip on July 21, 2012 by Steve. The campground at Etosha was great. The bathrooms were excellent, the pool was really good, the locations where we pitched tents was really nice, and the fire pit was good. The restaurant was a little on the pricey side. Fortunately, we ate all our meals off of the truck for the one day that we were there. The place was one of the nicest campgrounds in which we stayed. Unfortunately, they did not have any internet. I guess our location was a problem. We were located in the middle of 18,000 square kilometers of national park. 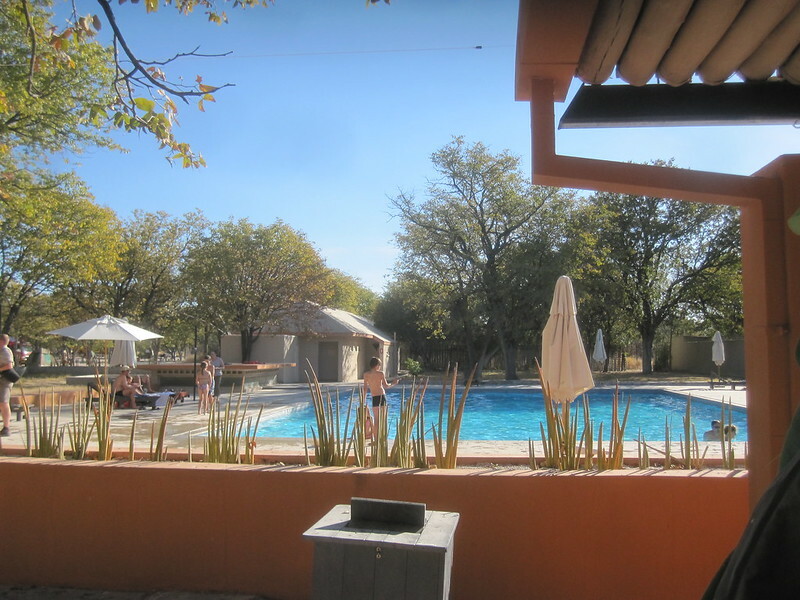 This entry was posted in Travel and tagged Fortuna, Namibia on July 21, 2012 by Steve. It happens to everyone sooner or later. Car problem. I can remember once buying a brand new mini-van and having to be towed in to a dealer a total of 5 times before they figured out what was wrong. I once had a Ford station wagon that was still under warranty and the catalytic converter went out. It took them over a month to get a new one in and installed. That was when I decided that extended warranties were not such a bad idea after all. 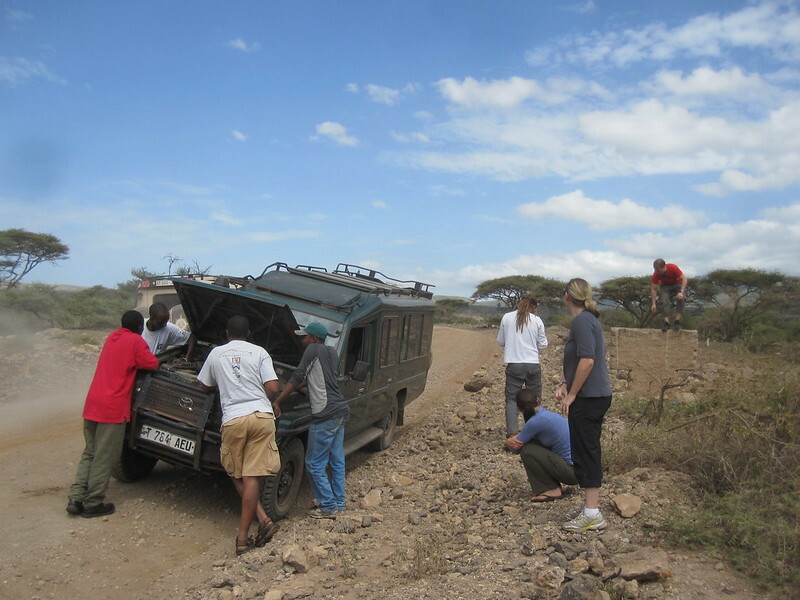 This is car trouble in Africa. Not good. Fortunately, every truck that came by stopped to give us a hand and eventually they had the problem solved after about an hour. This entry was posted in Travel and tagged Africa, Fortuna, Overland Trip on June 16, 2012 by Steve. One thing I can say is that you will spend money to visit a toilet in South America. It’s just a fact of life. Fortunately, it won’t be a lot. The price here is not $1, it is one Peruvian Sol or about 30 cents. 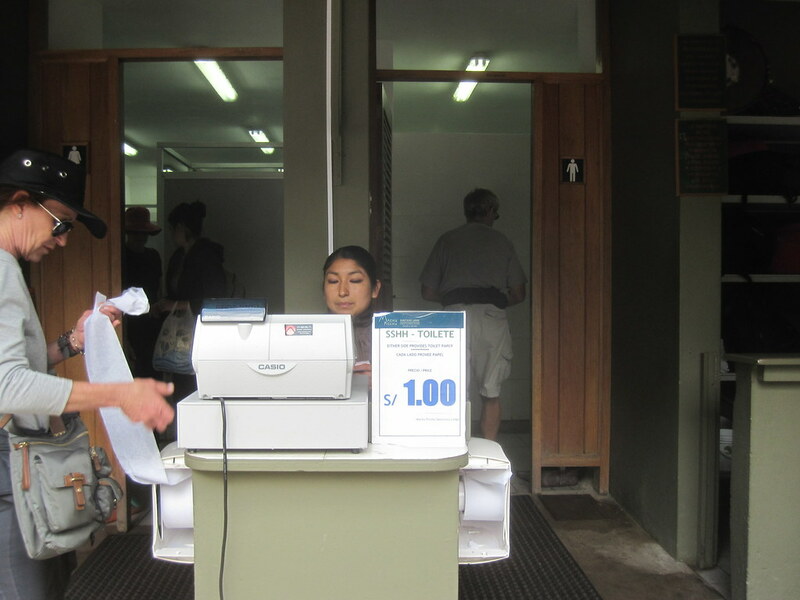 Still, I found it annoying to have to fork over some money every time every time I needed to visit a restroom. Yet, I guess the alternative was to find myself walking into some pretty nasty places. Then again, even in the nicest of restrooms a toilet seat was a real luxury and you’d better make sure and have your own paper. This entry was posted in Travel and tagged Fortuna, Machu Picchu, Peru on October 3, 2011 by Steve. I’m not sure what you call it. I probably should call Mike and ask him. 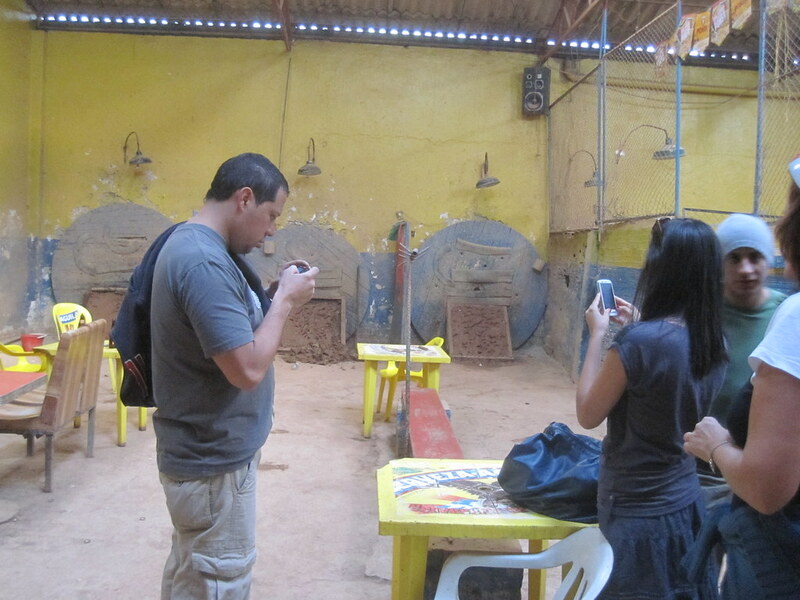 At the end of the tour we all had the option of going to a fairly dodgy local environment to play a game of ????? (someone help me here). Anyway, the objective is to throw a rather heavy iron ball about 50 feet into a pit of clay that has targets. Yeah, I know, that’s not so interesting. The interesting part is that the targets explode. Literally. They explode with enough emphasis to get your attention. Fortunately for me, the guys I was with weren’t very good at making the targets explode. They did really well with the cerveza, though. This entry was posted in Travel and tagged Bogota, Colombia, Fortuna on September 14, 2011 by Steve. I like this system. It only produces hot water when you want it. It’s got to be more energy efficient that the hot water tank. The problem is that you need one for everyplace you want hot water. 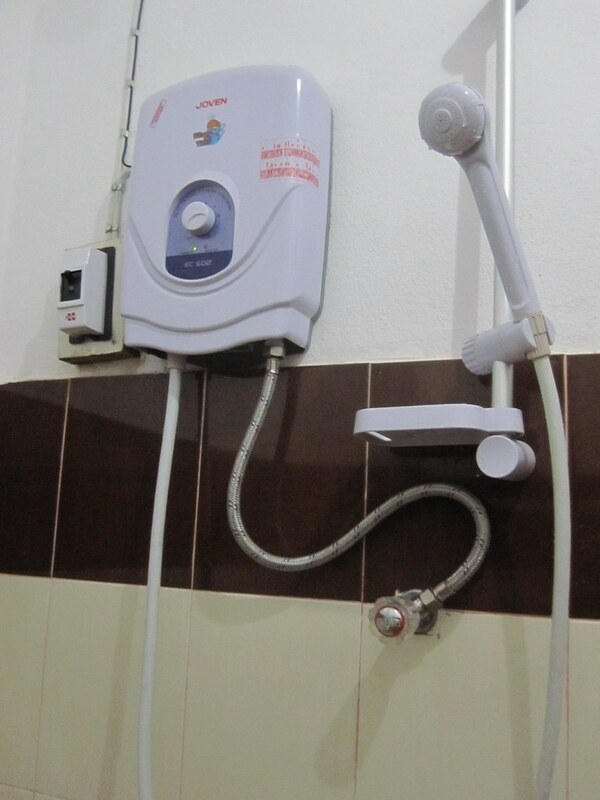 Fortunately for SE Asians, the only place they want hot water is in the showers of hotel rooms. People often don’t have running water in their homes in Laos. Not only that, why would they need hot water? They don’t wash anything in hot water, including themselves. In India, a room with hot water cost extra and then it was a crapshoot as to whether the water would be hot or not. I think those Indians are into mind games, sometimes. This entry was posted in Travel and tagged Asia, Fortuna, Laos on February 22, 2011 by Steve. 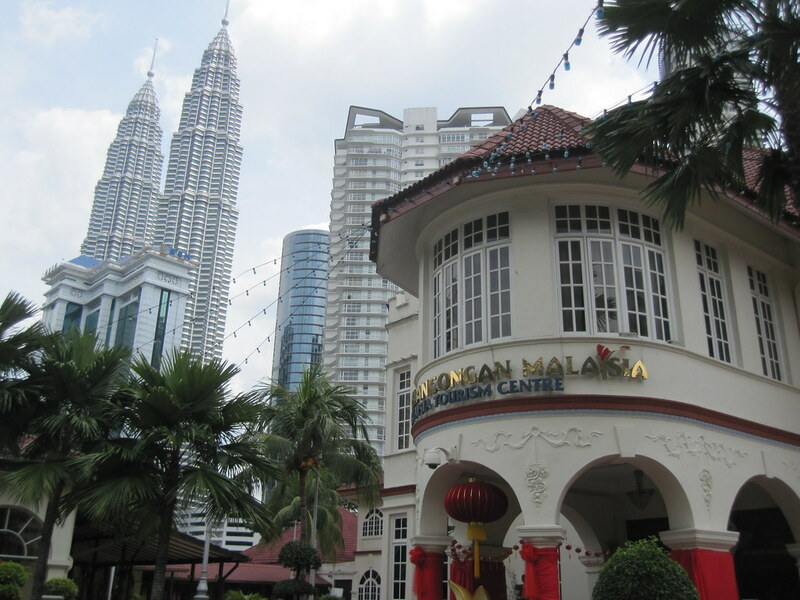 This is the main tourist center in Kuala Lumpur. Notice the Petronis Towers in the background. When I walked into the building my first thought was "Wow! I don’t think I can afford this place." Fortunately, all the information and brochures were free. It was a nice place. This entry was posted in Travel and tagged Fortuna, Kuala Lumpur, Tour on February 6, 2011 by Steve.